The other day I won a copy of The Vegan Table: 200 Unforgettable Recipes for Entertaining Every Guest at Every Occasion from Bob's Red Mill. Alvin has always had a love for fish sticks, so I was glad to see a recipe in Colleen's book for them. Since becoming a vegan last year, I'm still working on ways to incorporate family favorites in a plant-based way. I think it's very important for my children to feel like they're not missing out on anything by eating compassionately. I also try to get them to cook with me as much as possible because children are more likely to eat what they help prepare. These don't taste exactly like traditional fish sticks, but they are a very good alternative. the batter for a more "fishy" taste but it didn't make a difference. Mix together vegan mayo and relish or a combination of finely chopped pickles, capers, and fresh parsley. 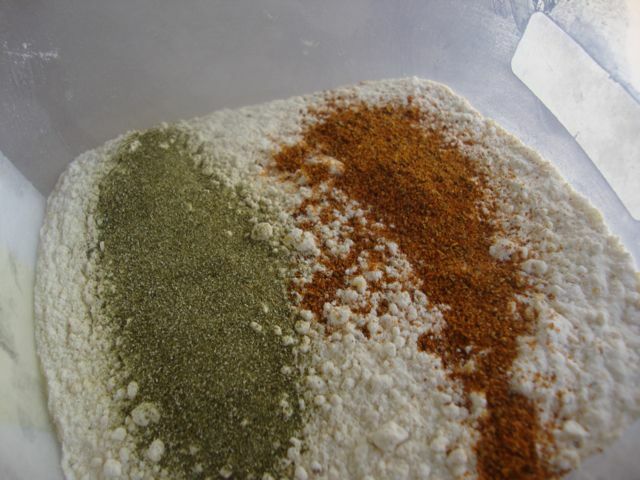 In a bowl, mix together flour, cornmeal, thyme, basil, oregano, paprika, and ground pepper. In a separate bowl, whisk together non dairy milk and mustard. 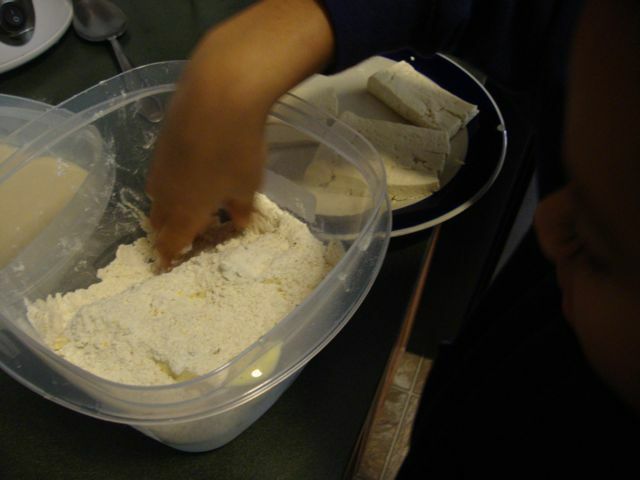 Cut tofu into thin strips, then dredge in flour mixture. Add tofu to hot oil, and brown on both sides. Transfer to a paper towel-lined plate to soak up excess oil.